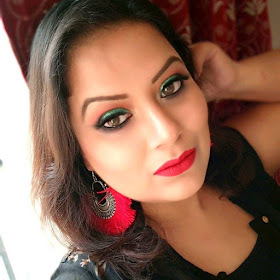 Once again I am back with my "SWATCH GALLERY", and this time I am up with a mini review and swatch video of 5 beautiful shades from LAKME 9 TO 5 WEIGHTLESS MATTE MOUSSE LIP AND CHEEK COLORS. Price:- Rs.575/- for 9 gm of product. 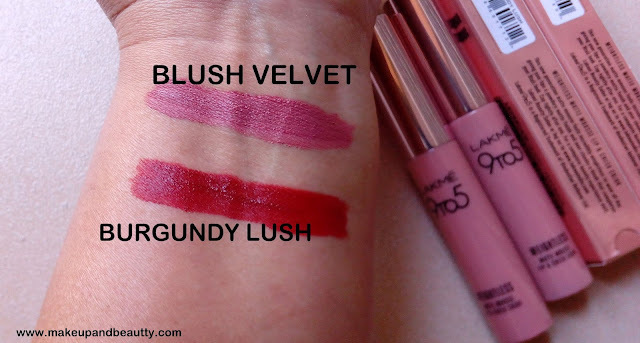 I bought the shades ROSE TOUCH, CRIMSON SILK, FUCHSIA SUEDE, PLUM FEATHER and PINK PLUSH. And oh yes ! did I tell you that these lip colors smells like candy? 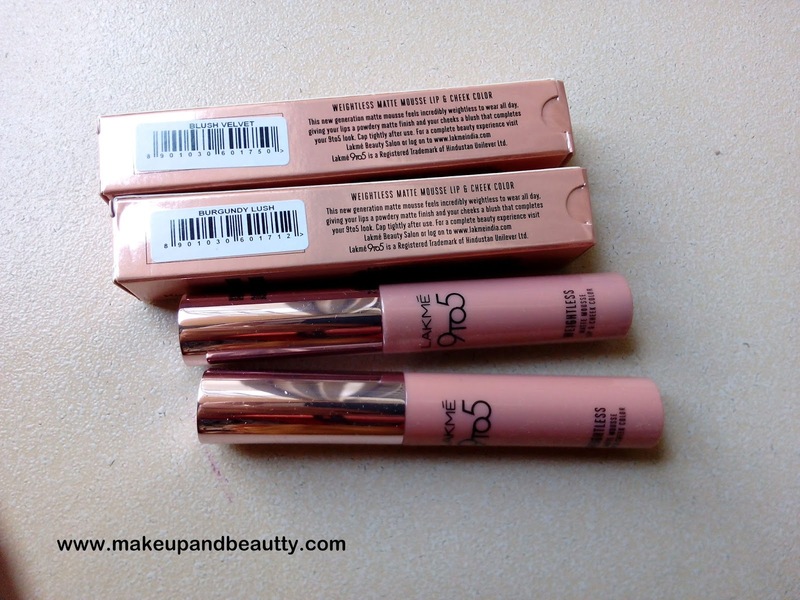 Here is the mini review and swatches of all LAKME 9 TO 5 LIP AND CHEEK COLOR that I bought. 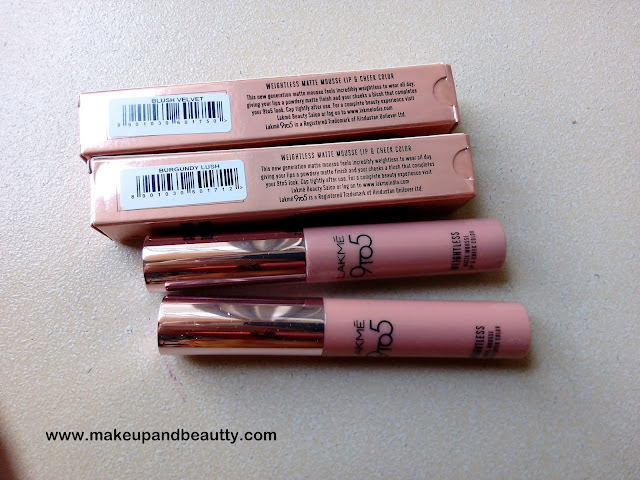 Here are the pictures and few swatch pictures below, as I clicked a lot so how can I let it waste so I put everything here ...LOL. Recently I bought two more LAKME 9 TO 5 LIP AND CHEEK WEIGHTLESS MATTE MOUSSE LIP AND CHEEK COLOR in shade "BLUSH VELVET" and " BURGUNDY LUSH". So adding the swatches of two below so that you can get the idea of the shades. 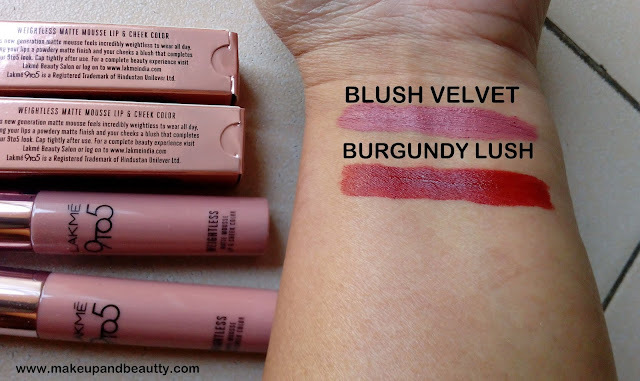 Note:- BLUSH VELVET IS ACTUALLY DUPE OF MAC LIPSTICK MEHR ON MYSELF. That's all for today. Please pour your thoughts regarding my first review video on my channel. Will be up soon with another post.